An interesting recent arrival at Moorabool is literally Magic….. 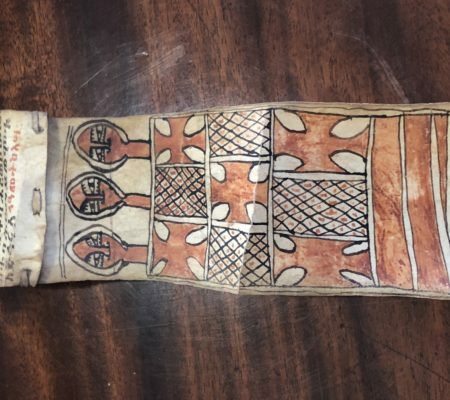 This curious artefact came from an elderly local lady, who challenged me: ‘I bet you don’t know what this is’ and was amazed at my guess of an Ethiopian magic scroll. I had never held one, but knew of them. She went on to explain how an ancestor had taken part in the Abyssinia Expedition and brought it back with him in a tin. 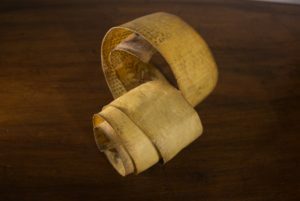 The family had kept it as a curio; now she was the last of her family, with no-one to pass it on to. 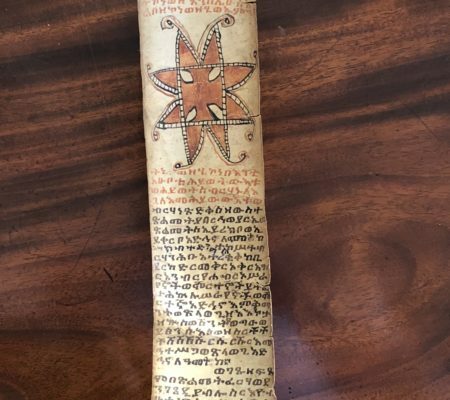 The ancestor was a British Army captain, and was one of the 13,000 British and Indian soldiers involved in a campaign to Ethiopia in the 1860’s. 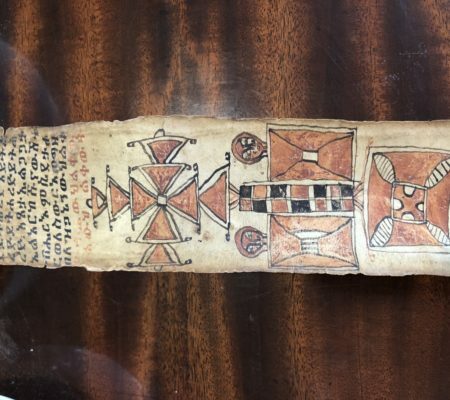 Ethiopia, then known as Abyssinia, was a mythical place, the home of the Queen of Sheba from biblical days, and the mythical Prester John in the middle ages. 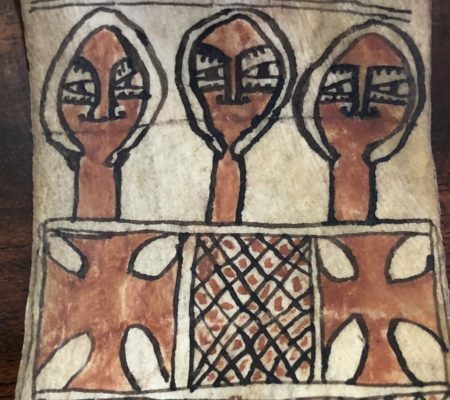 Legend tells of a son being born from the meeting of King Solomon and the Queen of Sheba, Menelik. Certainly Christianity spread there very early, by the 4th century AD. Their first bishop was consecrated in Alexandria, and it is the Egyptian Coptic version of Christianity which survived until the present day in the remote highlands, despite waves of Muslim settlers along the coasts. him a silver pistol, but no help. 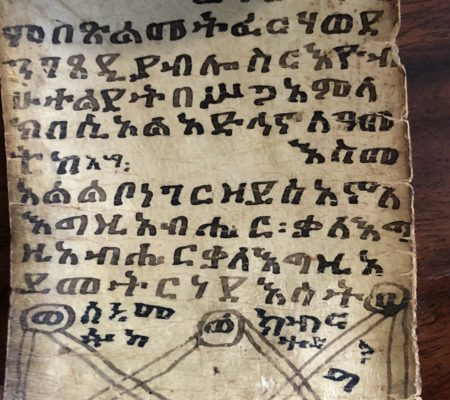 Disgruntled by lack of interest in his campaign, he snatched a visiting missionary; when a party set out to seek his release, they were captured as well, and imprisoned in his fortress of Magdala, deep in the Ethiopian highlands. Anyone sent to negotiate was added to his hostages, including the British consul: he ended up with dozens of prisoners. Queen Victoria had had enough; the British Empire had been mocked! She announced the decision to rescue the hostages on 21st August 1867. 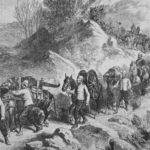 While similar hostage rescues in our present age often include helicopters and quick extractions from hostile lands, for the Victorians it was a massive effort. Sir Robert Napier led the expedition, which landed in the Gulf of Zula in December 1867. Magdala was only 640km away, but it was a waterless hostile badland, and took 3 months of marching. Imagine, 13,000 soldiers with 26,000 helpers to look after them using 40,000 animals…. including 44 Indian elephants to carry the large cannon! Once there, action was swiftly over. Tewodro’s troops caught the British by surprise on a platteau, and swarmed down from their hilltop positions; the well trained British quickly responded, with the inevitable massacre of the tribal attackers, many with just spears agains the superior British guns. A few days later they were able to bombard the fortress, blow the gates, and swiftly took over. On entering the last stronghold, they found Tewodro had taken his own life – with the silver pistol given as a gift by Queen Victoria! The soldiers destroyed the stronghold, setting it on fire. 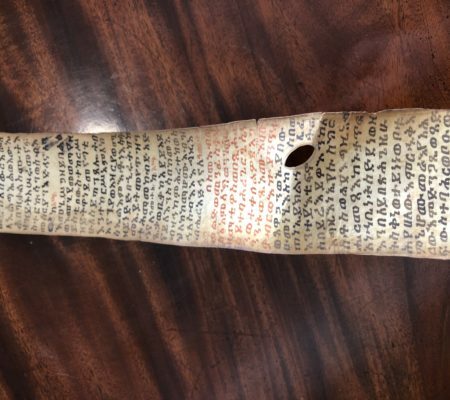 The Christian Coptic church was looted, with large gold & silver crosses being taken along with many religious works – including scrolls such as the one we are discussing. 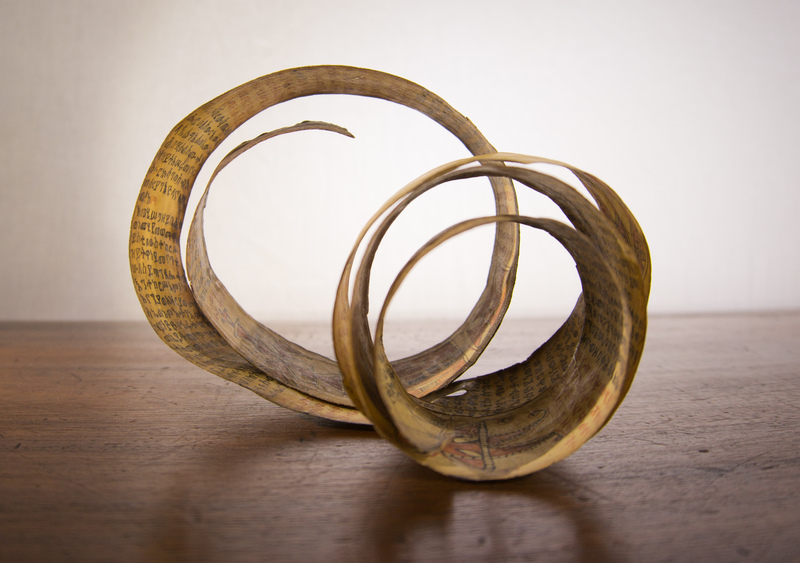 They were regarded by the Victorians as ‘magic scrolls’, evidence of superstition and ‘whitchcraft’, and therefore worthy of a place in any Cabinet of Curios. 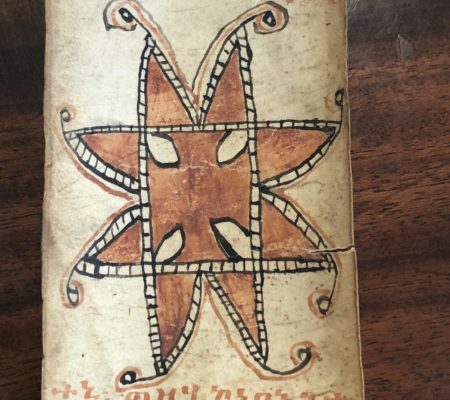 For the Ethiopians, they were believed to hold protective and healing powers, and were carried by the owner at all times. 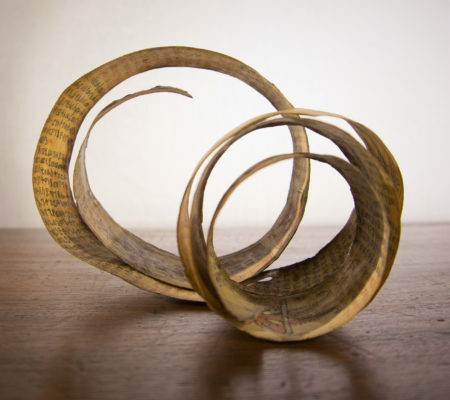 These were inscribed in ‘Geez’, the liturgical language of the church, with prayers, spells and/or charms which offered protection to their specific owner – to undo spells, restore health, combat sterility and even ward off demons. 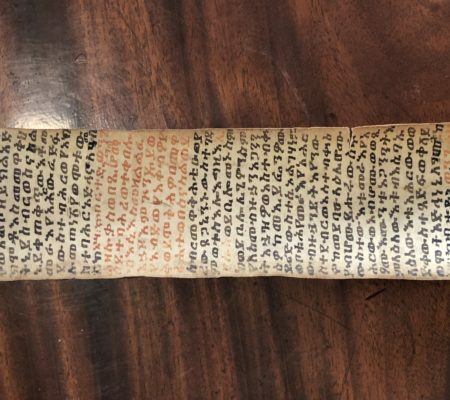 The text was often taken from sacred books such as Gospels and because of this, the scrolls were tolerated by the Ethiopian Church in spite of their connection to magical practices. The process would begin with the selection and sacrifice of a particular animal. The owner would bashed in the animals’ blood as part of the process of purification. 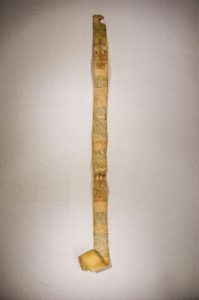 Three strips of parchment were then made from the skin of the animal and stitched together to form a single scroll equal in length to the height of its owner – ours is 135cm. 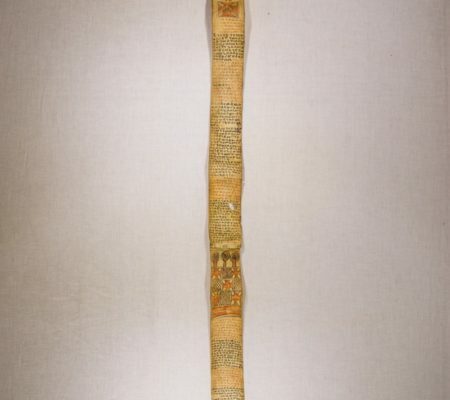 During crisis, these scrolls were carried on one’s person, and were kept close when sleeping to ensure protection. 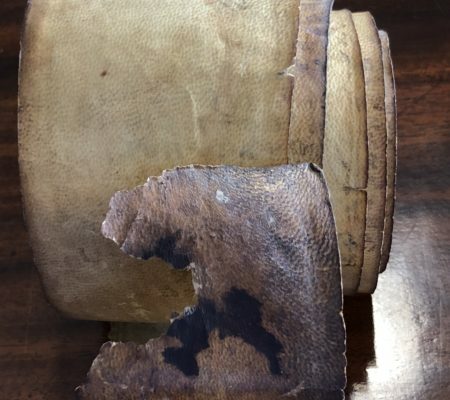 When the British Soldier acquired this 140 years ago, he protected it in a airtight tin, meaning this fascinating artefact has survived in remarkable condition.